State and federal government agencies play an incredibly significant role in Western water, environmental, and natural resource management issues. Understanding the widely varying missions, authorities, and motivations of the myriad agencies involved in the management, program funding, and regulation of matters relating to rivers and streams, groundwater, public lands, minerals and mining, natural resource management, species protection, and other government functions is critical to the success of industrial, municipal, and non-profit organizations alike. Just as important is the ability to work effectively with agency personnel and management to resolve conflict, identify creative solutions, and address the intersecting needs of the private sector as well as local, state, and federal governments. 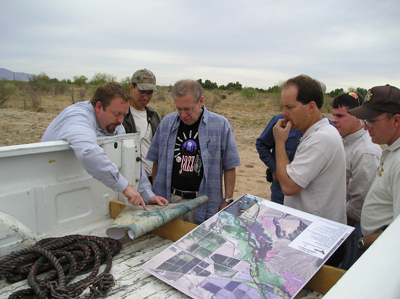 Our team brings decades of experience both working within and collaborating closely with a broad range of federal, state and local government agencies, including the Department of the Interior and its various bureaus, the U.S. Environmental Protection Agency, the U.S. Department of Agriculture, the U.S. Department of State, state departments of environmental quality and public health, state engineers and water resource agencies, regional water management agencies, and municipal water providers, irrigation districts, and special taxing districts, among others. We represent clients both in their capacity as stakeholders affected by or seeking to influence various general agency actions, rulemakings, policy discussions, and initiatives, and as applicants, permittees, or respondents in agency permitting, compliance and enforcement actions. Representing municipalities, municipal organizations, and non-profit organizations on various environmental, water, and fiscal issues at the Arizona state legislature, the Texas state legislature, and the Nevada legislature.